3/2018. 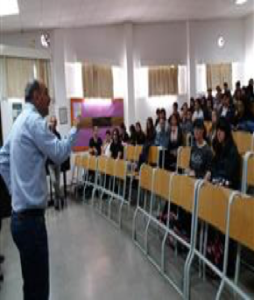 SAFEYOU team member Dr Michaelides presented the SAFE YOU project at the students and the teachers in a secondary school in Limassol, Cyprus. He informed the audience about doping use and increase their awareness about the hazards of doping use in recreational sport.In addition, he highlighted the role of education, such as SAFEYOU, to prevent doping use.